This paper was presented by Zafar Bangash at the Dr Kalim Siddiqui Memorial Conference convened by the Muslim Institute for Research and Planning and the Muslim Parliament of Great Britain in London on November 3, 1996. At the time, Zafar Bangash was Deputy Director of the Muslim Institute. He later became Director of the Institute of Contemporary Islamic Thought, a successor to the Muslim Institute established by some of its senior figures in 1998, following the calamitous decline of both the Muslim Institute and the Muslim Parliament under the leadership that had succeeded Dr Kalim. In this paper, Zafar Bangash highlights some key elements of Dr Kalim’s Siddiqui’s understanding of the contemporary historical situation, the role of the Islamic movement as in instrument for the ‘total transformation’ of the Ummah, and the challenges facing the Islamic movement in attempting to fulfill this role. At the First International Conference on Iqbal held in Tehran in March 1986, Ayatullah Seyyed Ali Khamenei, then president of the Islamic Republic of Iran, paid rich tribute to the poet-philosopher from the Indo-Pakistan subcontinent. But he also lamented the fact that Iqbal had never had an opportunity to visit Iran, the country of his love, in whose language, Farsi, he wrote such stirring poetry. During Iqbal’s lifetime, said Ayatullah Khamenei, Iran was under the rule of taghoot who did not appreciate Allama Iqbal’s greatness. Ten years later, when Dr Kalim Siddiqui passed away, Ayatullah Khamenei, now the Rahbar (Leader) of the Islamic Revolution in Iran, made sure that another worthy son of Islam would not suffer the same neglect. The Rahbar issued a special statement which recognised the great services Dr Kalim had rendered to the Ummah through his writings and thought. This message was broadcast on television and radio, as well as carried by newspapers in Iran. He also sent a personal message of condolence to Dr Kalim’s family. Four months later, when an International Unity conference was held in Tehran on the occasion of Haft-e Wahdat (Unity Week), a huge banner with Dr Kalim’s portrait and an extract from the Rahbar’s statement was hoisted outside the conference hall. This was an appropriate acknowledgement of Dr Kalim’s contribution to bringing unity in the Ummah and raising the consciousness of Muslims worldwide. Following Dr Kalim’s funeral, messages of condolence were received from leaders of the Islamic Movement in different parts of the world, transcending all linguistic, sectarian and national boundaries. There were also deeply moving messages from ordinary Muslims in all corners of the globe, whose only association with Dr Kalim was through his writings, particularly those in the Crescent International. Many had never seen or heard him, yet they had been profoundly affected by his writings and thought. There were, however, no messages from any of the rulers in the Muslim nation states. This is how Dr Kalim would have wanted. In fact, had any of these rulers sent messages, his soul would have been deeply troubled. He was the bane of these rulers and their nation-state structures, which he wanted to demolish before the task of rebuilding the House of Islam could begin. The manner in which Muslims around the world reacted to his death accurately reflected his life-long struggle. He was a man of great vision, clarity of thought and deep understanding of the forces of history, as well as of the contemporary situation of Muslims. His remarkable quality was that once he understood a situation, he did not need to adjust his analysis with the passage of time. In fact, time vindicated his position at each and every juncture. There are few examples of such clarity of thought in the world of Islam, or indeed anywhere else. While he was educated and lived in the west, his thought was rooted in the Qur’an and Sunnah. He lifted the fog of confusion from contemporary Muslim political thought, especially relating to the nation-state structure and the attendant western political discourse such as democracy, political parties and elections. Indeed, he identified and rejected in its entirety the conceptual baggage that Muslim political thought had acquired during the colonial period. In order to appreciate the true import and enormity of his contribution, one must consider the dominant thought during the period in which he lived. The period between the fifties and the seventies was the zenith of nationalism. ‘Fathers of the nation’ were revered everywhere in Asia and Africa. They peered down upon their hapless subjects from statues and huge billboards at every major intersection in their capital cities. Muslims, too, were engulfed in this neo-jahiliyyah of hero-worship. The Muslim nation-states and their ruling elites had not piled up as many failures then–not because they were capable of any achievements but because not enough time had elapsed to expose their incompetence as thoroughly as became apparent in the subsequent decades. Dr Kalim’s concern was with the civilizational goals of Islam. He constantly emphasised that there is no possible compatibility between Islam and the west. He argued that it was essential to break the west’s psychological stranglehold over the Muslims because the new civilization of Islam cannot be erected with the conceptual tools of the west. “This position also forces us to find our own solutions from the Qur’an and Sunnah to such problems as underdevelopment, poverty, distribution of wealth, etc,.,” he said. He went on: “the power of Islam in the world of Islam can be developed and mobilised only if the sources of our power are within the House of Islam” . He developed and articulated these themes, and conveyed them to the Ummah worldwide, over the last 25 years of his life. In fact, he personally played a key role in creating and developing the means by which these ideas would be circulated far and wide. He recognised that “every change requires a climate of opinion to accept and consolidate it” . Throughout history, mankind has grappled with this phenomenon. Some have no message but all the means at their disposal: others have the ideas and knowledge but no means to propagate them. We know that the west has nothing to offer to mankind except suppression, exploitation and terror; yet their ideas have gained global acceptance. Because of the west’s near-monopoly on the means of communication, their ideas, especially in the cultural and social fields, are widely known and alas, all too readily accepted, not least in most parts of the Muslim world. The Muslims, on the other hand, have a great message–indeed we are the recipients and purveyors of the last and final message of Allah for all mankind–but our means of propagation are woefully inadequate, if not entirely non-existent. Even the means that should be available to Muslims– the minbar during the Friday khutba or the sermon in Arafat during Hajj–have been usurped by taghooti powers so that Islam’s message is stifled. The contrast with the west’s tools of communication could hardly be greater. Dr Kalim was aware of these shortcomings, but he did not seek to influence the western media to project the image or message of Islam. Far too many Muslims spend their time trying to ‘influence’ the western media without realizing that the media are not separate from the system in which they operate. Dr Kalim had first-hand experience of this through his successful journalism career in Britain, having reached the position of sub-editor at the Guardian, which he gave up to pursue the goals of Islam. Thus, while he worked to establish the Muslim Institute and develop its ideas, he also helped build the Muslims’ own media to communicate these ideas globally. The Muslim Institute, as an academic body, was concerned with developing the epistemology of Islam that would lift the Muslim world from its present state of subjugation and humiliation to its rightful place in history. But this was a long-term approach originally based on the assumption that no change was foreseeable within the next 50 to 100 years, the Islamic movement in Iran being — in Dr Kalim’s own words — a ‘blind spot’ in the thinking of the Muslim Institute until the Revolution. In the nearly 25 years of its existence, the Muslim Institute has contributed much towards the realization of this goal by producing a body of ideas radically different from those offered by Muslim social scientists elsewhere. During the 1970s, the overwhelming majority of Muslim intellectuals tried to prove the compatibility of Islam and the west by arguing that Christianity and Islam are little different; that democracy was an expression of the Islamic concept of shura, and that capitalism was Islamic except for the element of interest. These apologetic outpourings, thoroughly discredited now, were rejected in toto by Dr Kalim more than two decades ago. The transformation, in 1980, of the Crescent International into the ‘newsmagazine of the Islamic movement’ was the first step along the road to giving Muslims a voice in a world gripped by nifaq, zulm, hypocrisy and oppression. The Crescent International was followed by the establishment of Muslimedia, a news and feature syndication service, in 1981. The Muslim Institute’s international seminars, almost all of them held in this very hall , started in 1982. These provided an opportunity for leaders and activists in the global Islamic movement to meet, at least once a year, in London. Beyond the formal speeches at the seminars, the interaction and exchange of ideas between different parts of the global Islamic movement were of immense benefit on the intellectual level. These seminars helped consolidate the ideas that have played such a vital role in the revival of the Ummah globally. A similar role has been performed by the ‘Issues Books’, the annual anthologies of writings from Crescent International launched in 1982, of which seven volumes have been produced so far . These have contributed greatly to the understanding of young journalists writers and activists in the global Islamic movement, in addition to being a ready source of reference material. The Muslim Institute’s journalism courses, run from 1984 to 1986, in partnership with the City University, London, gave young Muslims the technical as well as the conceptual tools to convey the message of the global Islamic movement with greater confidence. Many of the students who attended these courses are today either editors of newspapers/magazines in their countries, or are bureau chiefs for various news agencies. Finally, the publication of Al-Hilal al-Dawli, the Arabic edition of the Crescent International, despite its short life-span (1987-91), had a tremendous impact in such places as Palestine, Egypt, Algeria, Nigeria and Malaysia. 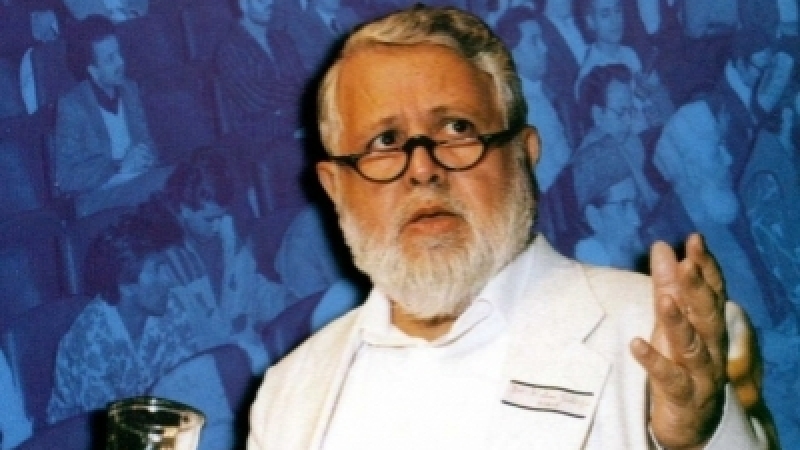 All of the above may appear disjointed efforts but the purpose behind them all was the same: to communicate the ideas and understanding of Dr Kalim Siddiqui and the Muslim Institute as widely as possible in order to contribute to the understanding of the Islamic movement and the emergence of a political consensus in the Ummah. Today, we see the impact of these efforts before our eyes not only in Britain but also in South Africa, Malaysia, Pakistan, Egypt, Palestine, Algeria and so many other places. Communication, of course, is the very essence of the prophetic method. 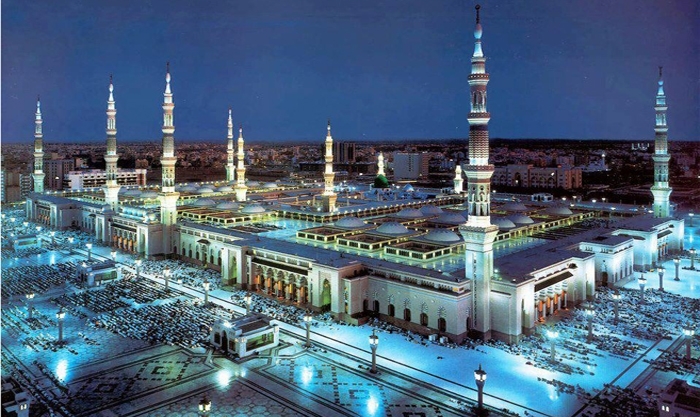 Allah’s guidance came to mankind through a chain of Prophets, and His message was completed only after the final Prophet, upon whom be peace, had established the Islamic State in Madinah. Dr Kalim repeatedly pointed out, in his writings and speeches, that Islam is incomplete without the Islamic State. Today, there are no more Prophets; of course, will be no more Prophets. Instead, we have the Qur’an and the Sunnah, the primary sources of Islam, left to us by the Prophet Muhammad (peace be upon him). Unfortunately, Muslims have deviated from both. 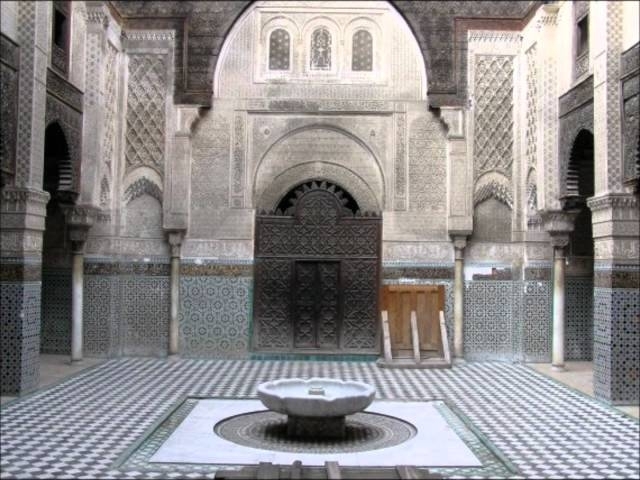 While the deviation started soon after the period of the Khulafa ar-Rashidoon, the overall system still operated within the framework of the Shari’ah. It was only during the period of colonialism that Muslim political thought completely lost its link with the primary sources of Islam and moved to a wholly un-lslamic basis. This was a key part of Dr Kalim’s understanding, and few other Muslim scholars and intellectuals, even within the Islamic movement, realized or understood this point so clearly. Dr Kalim understood European colonial thought well. He pointed out that European states had to go through the periods of Renaissance and Reformation because it was necessary for them to break the Church’s control over the masses. They developed such concepts as nationalism, democracy, equality, and fraternity in order to undermine the authority of the Church. In Islam, there has never been such a problem. In Islam, the state is the ‘Church’. This is a point that most Muslim intellectuals failed to grasp during the colonial period. They assumed that Europeans were Christians and, therefore, our religious cousins, the ahl al-kitab. What these Muslim intellectuals did not understand was that Europe had already reduced Christianity to matters of personal rituals. It had nothing in common with the message delivered by the Prophet Jesus, upon whom be peace. Europe was bent on reducing Islam too to the level of Christianity, realizing that it alone had the potential to challenge the hegemony of the west. The Muslim intellectuals during the colonial period, and indeed even in the post-colonial era, appeared oblivious of this crucial fact. Dr Kalim also disowned much of Muslim history, not because he denied reality but because the rulers under mulukiyyah had deviated from the teachings of the Qur’an and Sunnah. Accordingly, these states had become secular and lost Islamic legitimacy, he argued. As the threat of colonialism loomed, he said, only two options presented themselves to the Muslims: either the secular Muslim states operating under the garb of Islam would be replaced through an internally-generated corrective process, or they would come be dominated and subjugated by external powers. In the absence of any internal corrective process the powerful secular states from Europe overcame the weak Muslim secular states in Asia and Africa. Thus, it was not the power of Islam that was defeated by the colonialists, claims to the contrary by the latter notwithstanding, but secular states ruled by Muslims. A segment of the Ummah did resist the colonial onslaught, even if many of the ruling elites welcomed it. The resistance came largely from the ulama. That this resistance was rooted in Islam was reflected in the fact that, even in remote parts of the Ummah, without any direct links or communication, the ulama’s mode of resistance was identical: jihad. But Dr Kalim pointed out that the resistance was sporadic, localised and largely ineffective. He was pained to note that the ulama neither realized the enormity of the challenge when the colonialists invaded Muslim lands, nor the reasons for the decline of the Ummah. He traced this lack of effective resistance to the fact that once the ulama had accepted the legitimacy of mulukiyyah, or at least acquiesced in its continuation without resisting it, a gradual, almost imperceptible, weakening of the Ummah was inevitable. Without the moral parameters provided by Islam, he said, Muslim states are reduced to secular states. Equally painful was the fact that Islam, a universal deen, offered only localised and fragmented resistance to kufr, which had now become globalised. The theme of this conference, ‘In Pursuit of the Power of Islam’, accurately summarizes Dr Kalim’s thought. In Islam, power is for a specific purpose: “to enjoin good and forbid evil”, as Allah commands in the noble Qur’an (3:104). Since the post-colonial Muslim nation-states were completely secular, Dr Kalim called for the “total transformation” of the Ummah. He argued that perhaps the need had never been felt so greatly as at the present time. In the past, if the ulama paid little attention to this aspect, it was perhaps because of rapid expansion of the world of Islam. Expansion itself was seen as ‘transformation’. The 52 nation-states–or perhaps 57 or 58 now–are neither capable nor suitable for solving any of the problems facing the Ummah. During the so-called period of independence, the problems facing Muslims have become even more intractable. He pointed out that the temporary loss of Palestine to zionism–he does not accept the loss of Palestine to the zionists as permanent, even if the so-called leaders of the Arab nation-states and the PLO are desperately trying to impress upon their hapless subjects that it is–was also made possible by the prior dismemberment of the Ummah into nation-states. But he describes the emergence of national ‘Islamic parties’ as an even greater tragedy. Nowhere have these parties succeeded in establishing an Islamic State. Ample proof of their failure is evident in places like Pakistan, Egypt and even in Algeria, where the Islamic Salvation Front, despite winning the elections so convincingly in December 1991, was denied power by the military junta backed by the west. A similar experiment is underway in Turkey under the Refah Party, which has had to accept humiliating compromises in order to be allowed to share power. Dr Kalim never questioned the personal integrity or taqwa of the leaders of Islamic parties. He always acknowledge their erudition and personal piety, but he questioned their political understanding and the method they had adopted for creating the Islamic State. He insisted that partial understanding would yield partial results; faulty perceptions would similarly yield faulty or inadequate results. For the total transformation of the Ummah, there had to be a movement based solely on the teachings of the Qur’an and the Sunnah of the Prophet. No approach rooted in western political thought could bring about the transformation of the Ummah. Since the political party-approach was opposed to the fundamental and all-inclusive concept of the Ummah, it was unsuitable as a vehicle for achieving the goals of Islam. In Dr Kalim’s view, only the global Islamic movement could achieve the desired result. He not only defined the Islamic movement but also drew its parameters and mode of operations. He called the global Islamic movement the “divine instrument of change” and said that all the Prophets of Allah were leaders of the Islamic movement during their time . The purpose of the Islamic movement is to mobilize the Ummah. Different parts of the Ummah may vary in their achievements. For instance, one part of the Ummah, in a particular part of the world, may be able to transform and reclaim that area for Islam. This territory is called the Islamic State. Its external environment immediately turns hostile as the Islamic State begins to consolidate control over its territory. It may even be invaded and attacked from abroad, as well as subverted from within. But in Dr Kalim’s view, conflict is part of the divine scheme to enable the Islamic State to consolidate itself. This is what happened to the first Islamic State in Madinah, led by none other than the Prophet himself, and in our own times, with the Islamic State of Iran. After a prolonged period of conflict, the Islamic State emerges victorious and begins to deal with its external environment on its own terms. The Islamic State, of course, can be subverted, defeated or even destroyed but not the Islamic movement. The reason is simple: the Islamic State is linked to territory; the Islamic movement, on the other hand, is an open system of which every Muslim is a member whether he/she is aware of it or not. An open system cannot be destroyed, even if it is weakened. 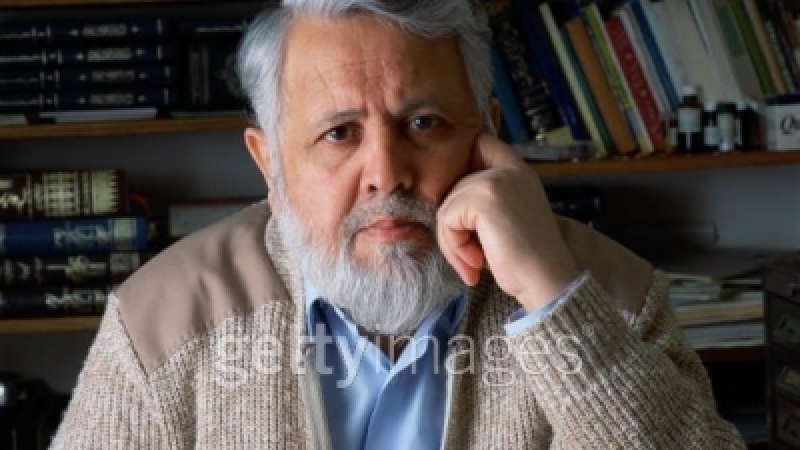 For Dr Kalim, the Qur’an and Sunnah are the soul, and the Islamic State the body, of Islam . But what happens to the soul when the body–the Islamic State–no longer exists? He answers the question thus: “in the absence of the Islamic State, the soul resides in the Islamic movement.” Dr Kalim’s Islamic movement, unlike the political party, is an inclusive system. Every Muslim is a member of this movement. There is no membership fee or card. The only requirement is that a person be a Muslim and committed to the civilizational goals of Islam. This simple but powerful idea was repeatedly stressed by Dr Kalim in his writings and speeches, until it became part of the vocabulary of political discourse among Islamic activists everywhere. He also drew constantly on the Sunnah and Seerah of the Prophet, upon whom be peace. He described the Seerah as a goldmine of information whose study outside the framework of a straight chronological narrative would yield greater insights for the future. During his own lifetime, Dr Kalim not only did much to create awareness of the Islamic movement in the world of Islam, but also pointed out the areas where further study was needed for the growth and development of the Ummah. For those of us who had the pleasure and honour of working with him during the last 25 years, this is a cherished memory indeed. 1. The Draft Prospectus of the Muslim Institute, London: The Muslim Institute for Research and Planning, 1974. 2. Kalim Siddiqui, ‘Nation-States as obstacles to the total transformation of the Ummah’, in Kalim Siddiqui (ed), Issues in the Islamic Movement 1984-85 , London and Toronto: The Open Press, 1986, p.5. This was the keynote paper presented at the Muslim Institute’s World Seminar on ‘The Impact of Nationalism on the Ummah’, London, July 31-August 3, 1985. 4. Kalim Siddiqui, ‘Political thought and behaviour of Muslims under colonialism’, in Kalim Siddiqui (ed), Issues in the Islamic Movement 1985-86, London and Toronto: The Open Press, 1987, p.1. This was the keynote paper presented at the Muslim Institute World Seminar on ‘Muslim Political Thought during the Colonial Period’, London: August 6-9, 1986. 5. The Logan Hall at the Institute of Education, University of London, was the venue for most of the Muslim Institute’s main seminars in London in the 1980s and 1990s, as well as the ‘Kalim Siddiqui Memorial Seminar’ convened by the Muslim Institute and the Muslim Parliament of Great Britain in November 1996, at which this paper was presented. 6. 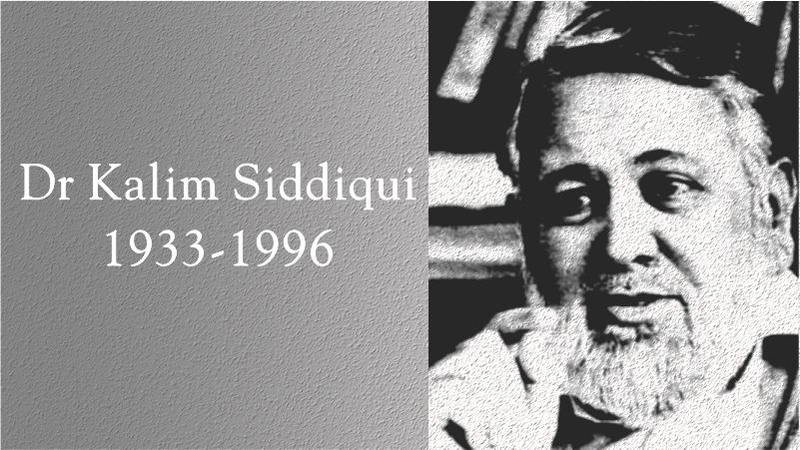 Kalim Siddiqui (ed), Issues in the Islamic Movement, vols 1-7, London and Toronto: The Open Press, 1982-1990. 7. Kalim Siddiqui, ‘Nation-States as obstacles to the total transformation of the Ummah’,op. cit., p. 3-4. 8. Kalim Siddiqui, ‘The Islamic movement: setting out to change the world again’, in Kalim Siddiqui (ed), Issues in the Islamic Movement 1980-81, London and Toronto: The Open Press, 1982.